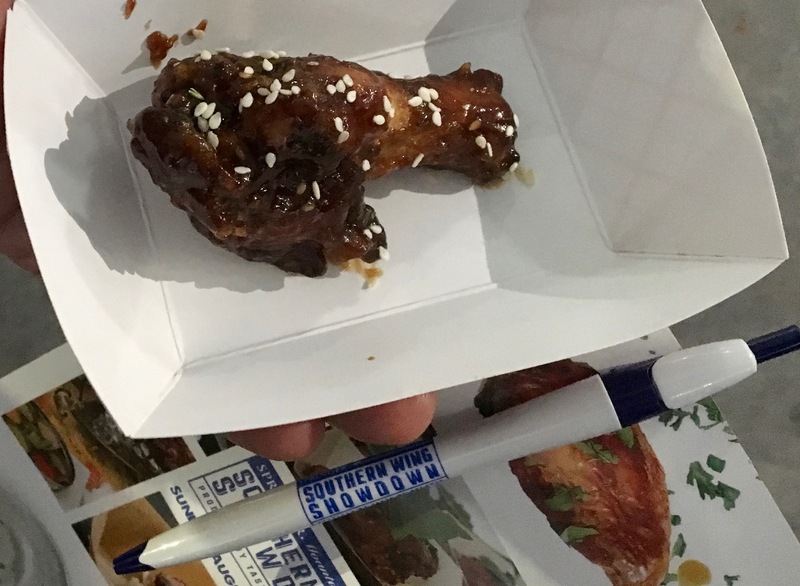 What has 3400 legs and eats 30,000 chicken wings? 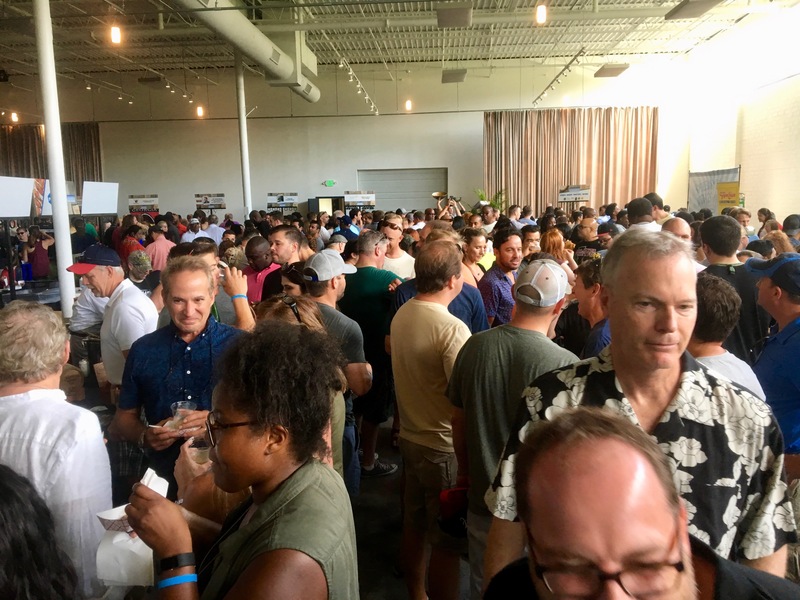 The crowd at the Southern Wing Showdown, produced by our good friends at Taste of Atlanta. We are at The Fairmont, an event facility in the middle of an impressive kudzu patch on the Westside. Evidently, so is a sold-out crowd of 1700 fellow wing-eaters. Right away, you know this festival means business. 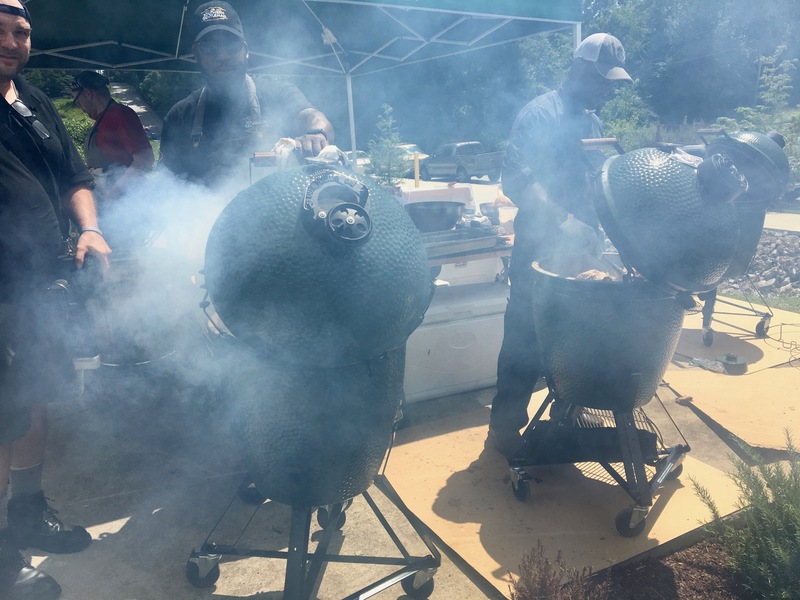 There are ten deep fryers as well as twelve Big Green Eggs in the parking lot. 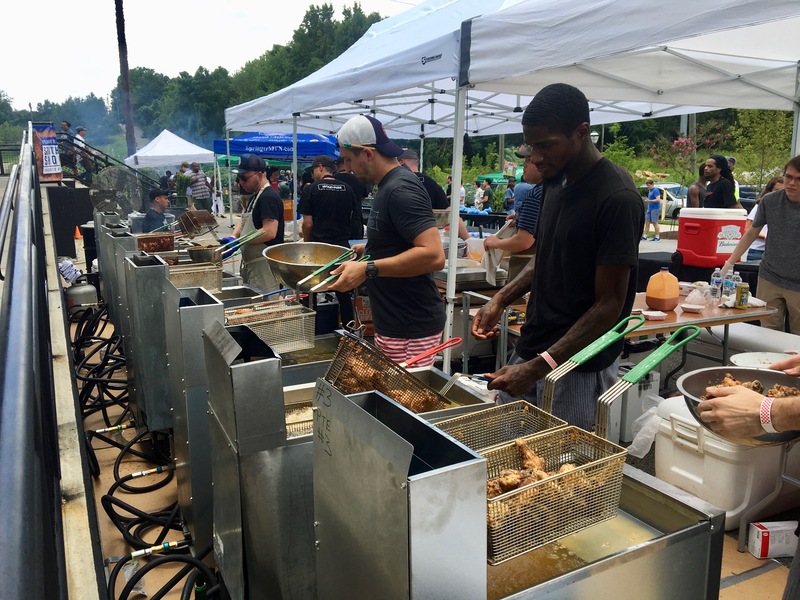 It’s hot out, and the chefs (fifteen from Atlanta and fifteen from the southeast) are working hard to win. With over 19,000 square feet, the Fairmont is a huge facility, and even thought the crowd is large, we never feel crowded. 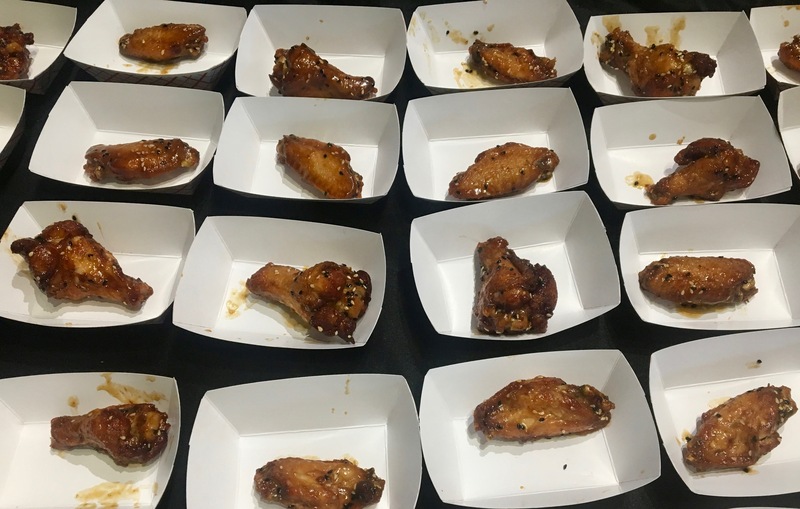 And with thirty different wings to taste, we never have to wait more than thirty seconds in line for food. Not surprisingly, the longest lines are at the bar. 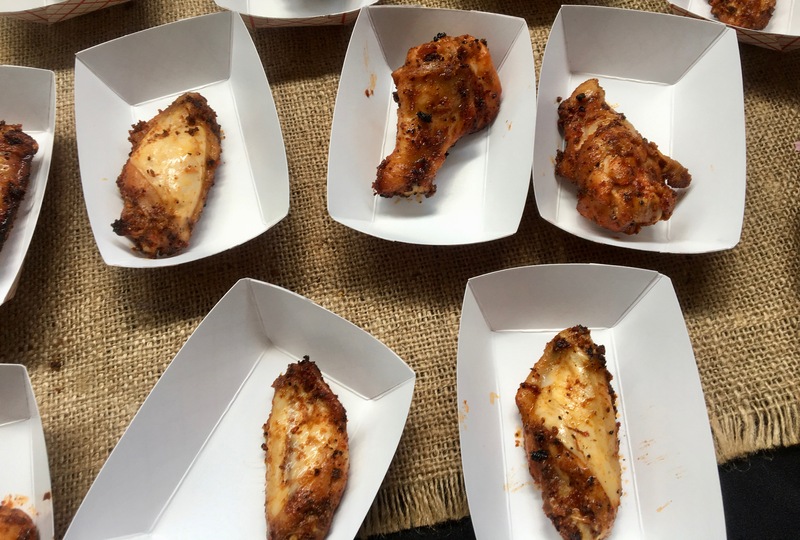 Springer Mountain Farms supplies all the wings for the day. There’s a lot of wingless chickens running around north Georgia. 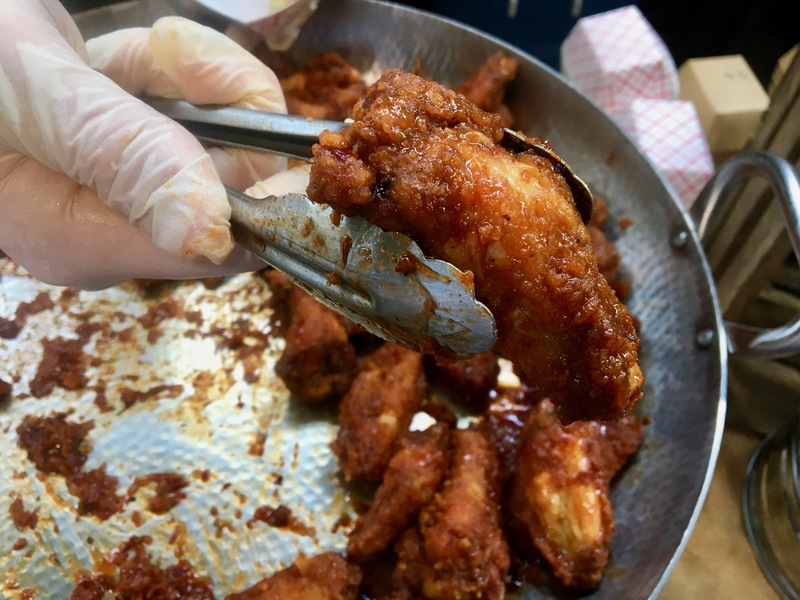 The wings have no preservatives and are all-natural, so they must be good for us. Our goal is to taste every single one of them. Early on, we realize that we must share each offering. Otherwise, they are going to have to wheel us out of here. Spoiler alert: we do not reach our goal. 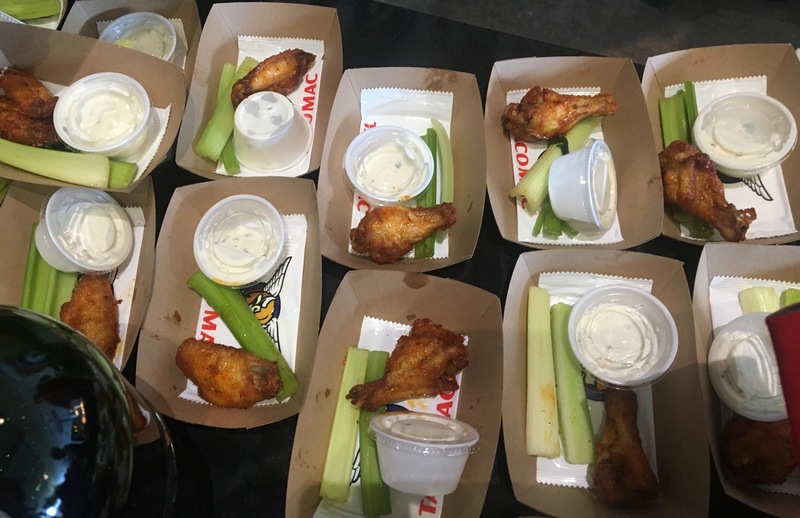 Everyone here gets to vote for their favorite wing. 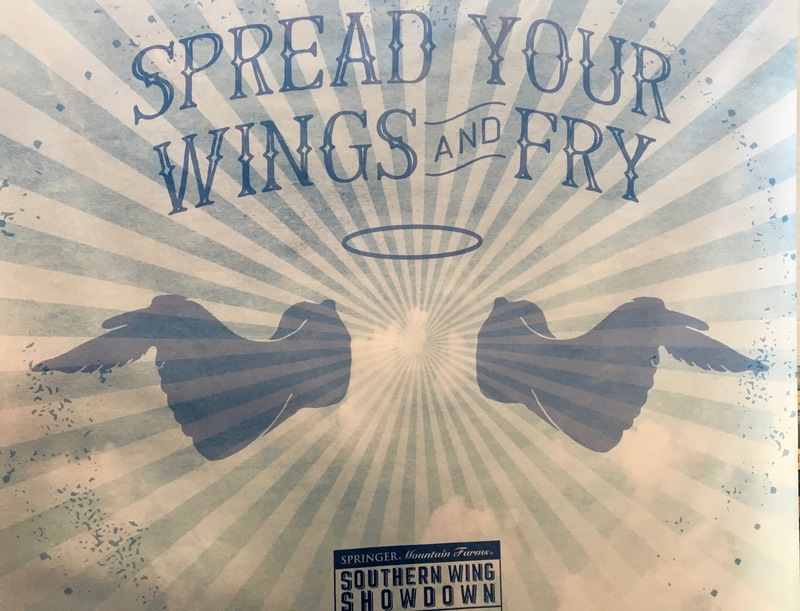 Read on as we find out who wins the Southern Wing Showdown. It’s a little overwhelming when you walk in. Where to start? How about with the first wings we see. 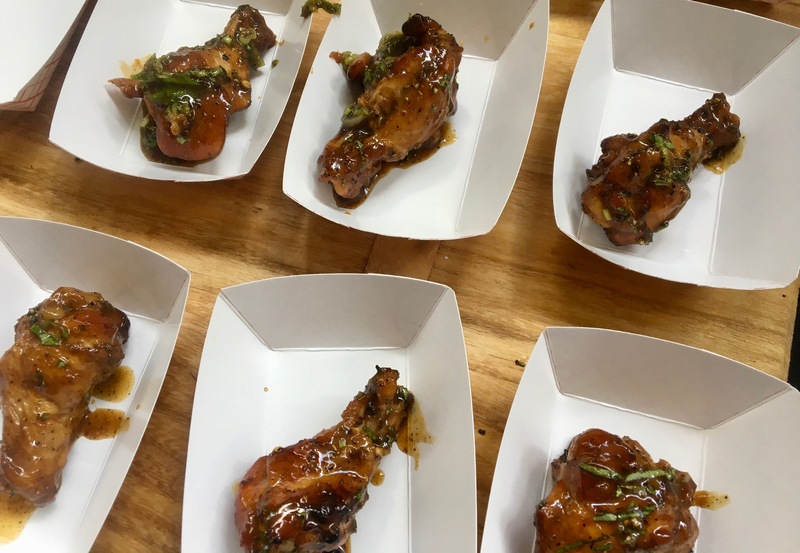 We start chomping towards our goal with Vietnamese smoked wings from the Read House in Chattanooga. Instead of our insightful commentary on each wing we eat, let’s let the captions tell the story for awhile. Ready for some serious wing photos? 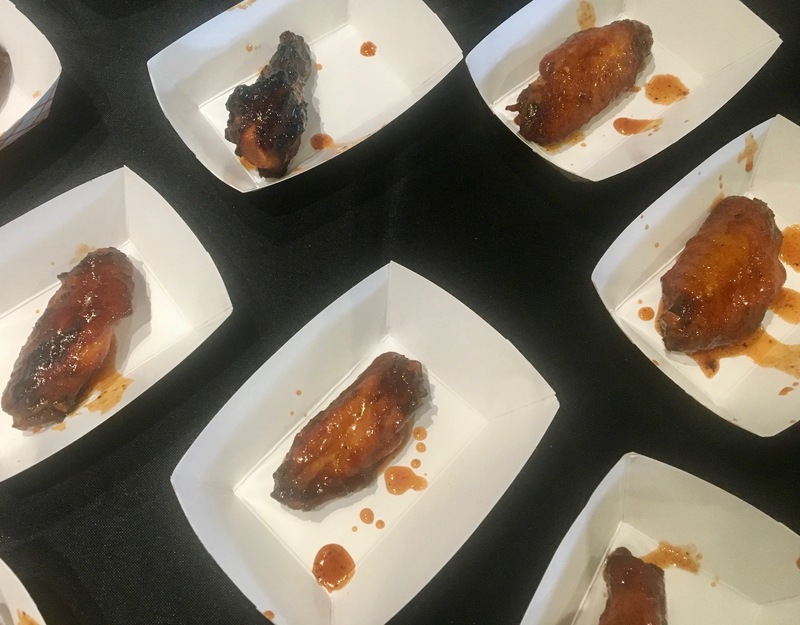 Stagioni from Charlotte shows you where the smoked wings in moonshine sauce are made. 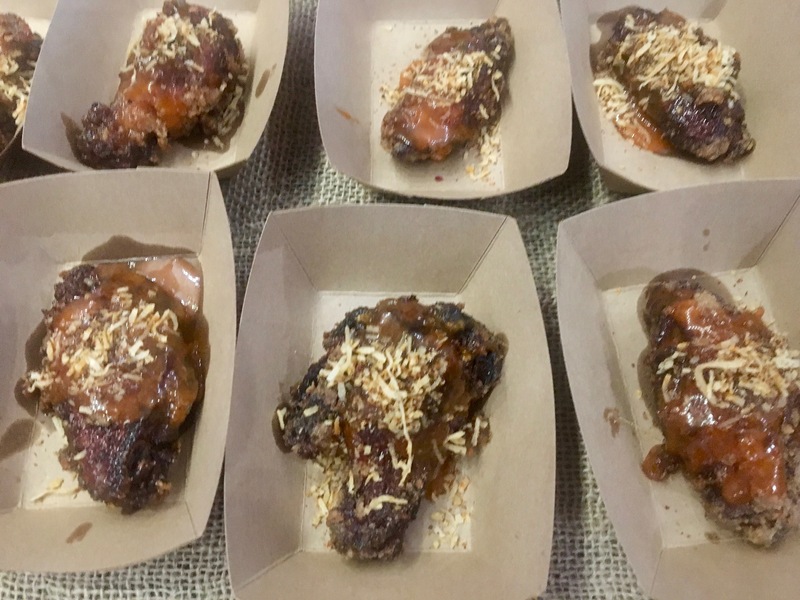 Bourbon barrel wings from Ladybird Grove. We liked these a lot. 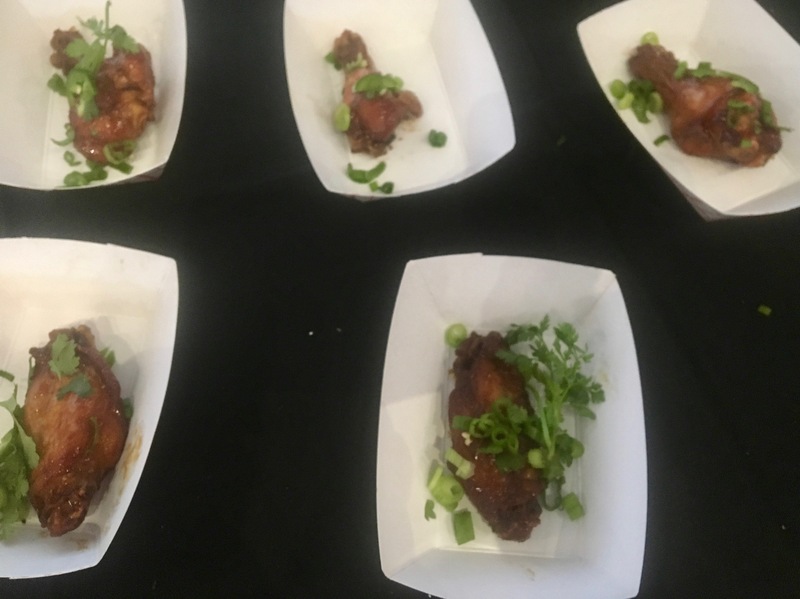 The magnolia smoked wings from Southern National got Eve’s vote for best wing. She likes them plain and simple. Funk Seoul Brother (love the name!) 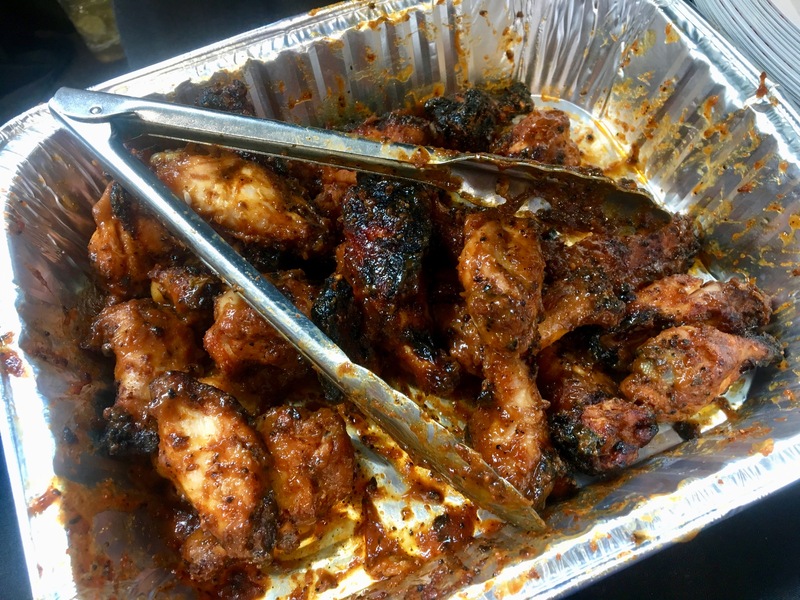 from TN offers plump, fried, hot honey butter wings. There are not enough napkins in the world to keep your hands clean. 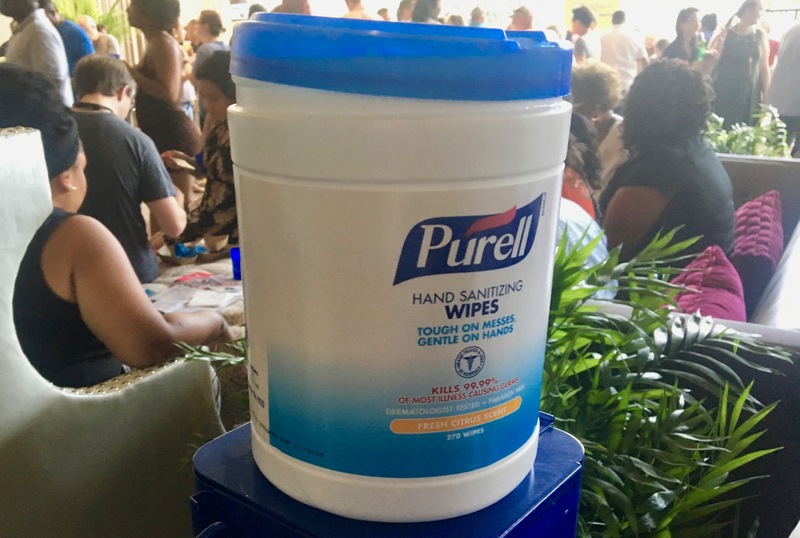 The Purell is a great idea. 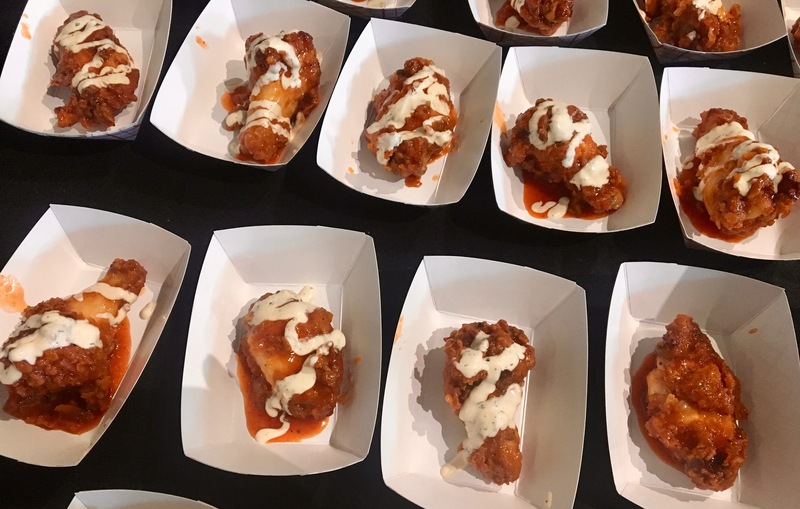 Taco Mac’s Jam Band sauce added a little sweetness among all of the spicy wings. The celery and hand wipes were a nice touch! Stoke’s (Charlotte) wings were the first mustard-based sauce we came across. One Flew South flew their citrus wings over from the ATL airport. 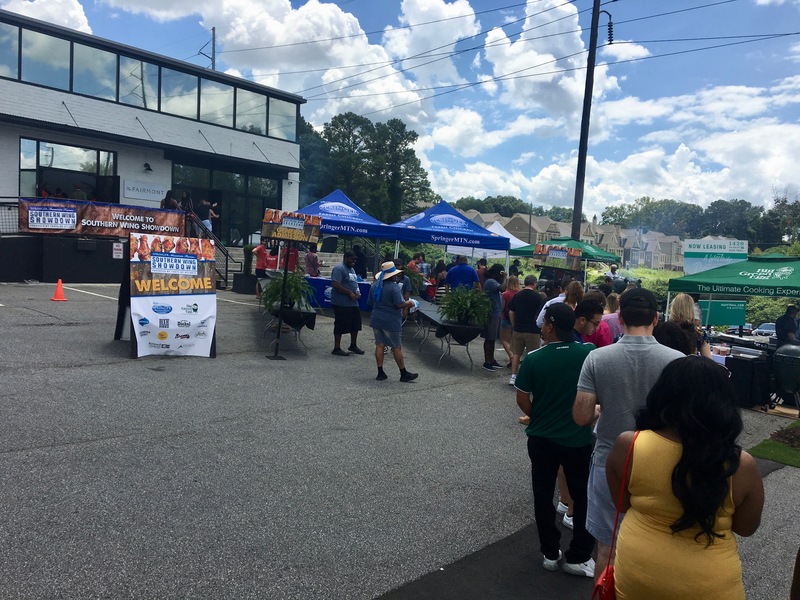 Chicken and Beer (owned by rapper Ludacris) made us sweat with their Hotlanta wings. 1Kept’s hot chicken and honey wings were a sweet treat. 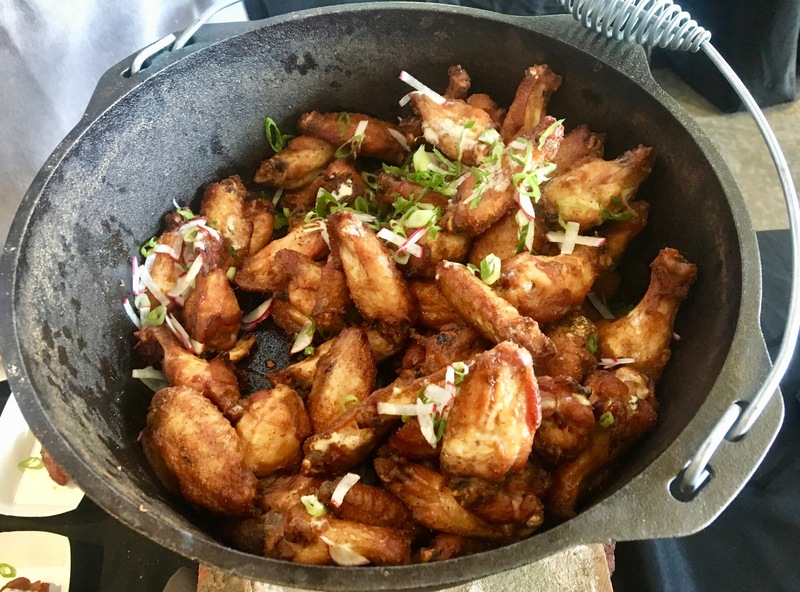 Hemingway’s Bar and Hideaway from Nashville offered some salty soy-brined wings. 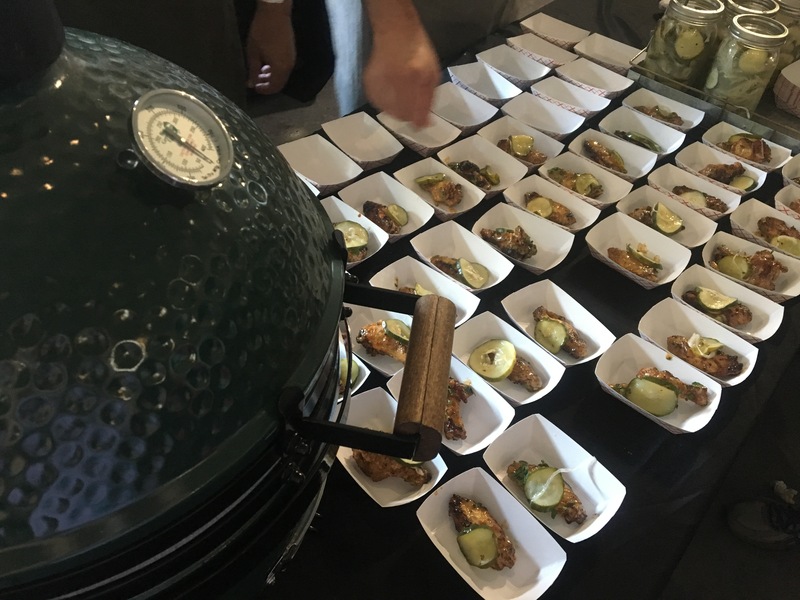 Poogan’s Smokehouse (Charleston) yummy mustard rubbed and pecan smoked wings. Simple seemed to be our favorite recipes. Deebo’s Batch #7 from Mimosa Grill (Charlotte) were a spicy bunch. Don’t you want one? 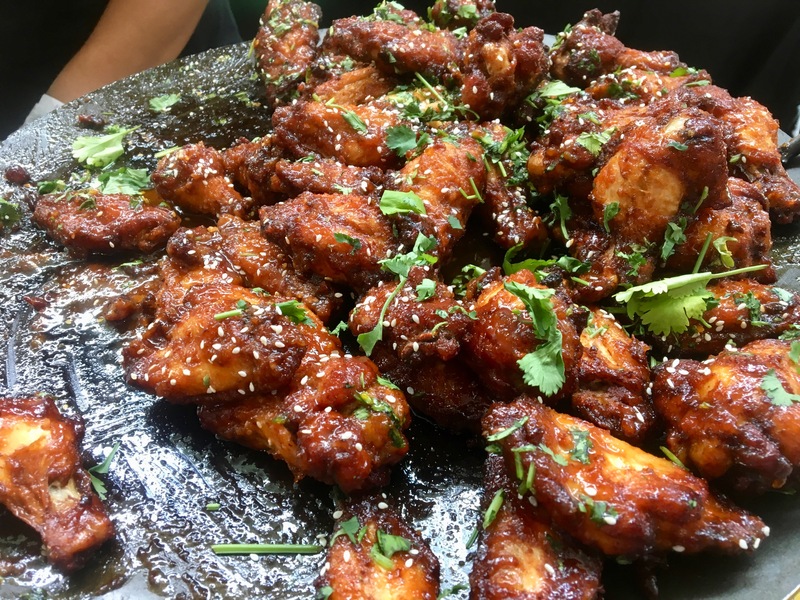 Mango chili wings from Bhojanic. We like them plain. Midwood Smokehouse’s (Charlotte) signature rubbed and smoked wings. Kitchen Six’s black pepper citrus was a spicy offering. 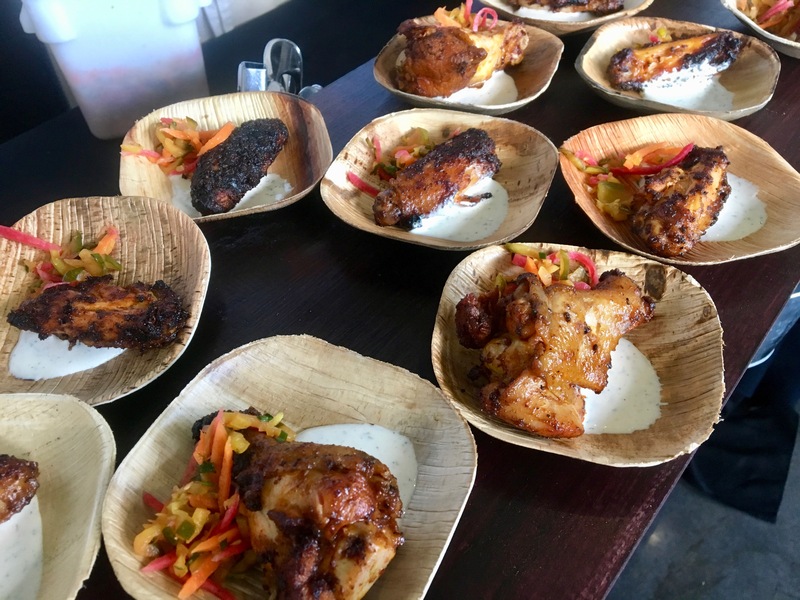 New Realm Brewing gets kudos for the plating of their dry rubbed wings with ranch dressing. 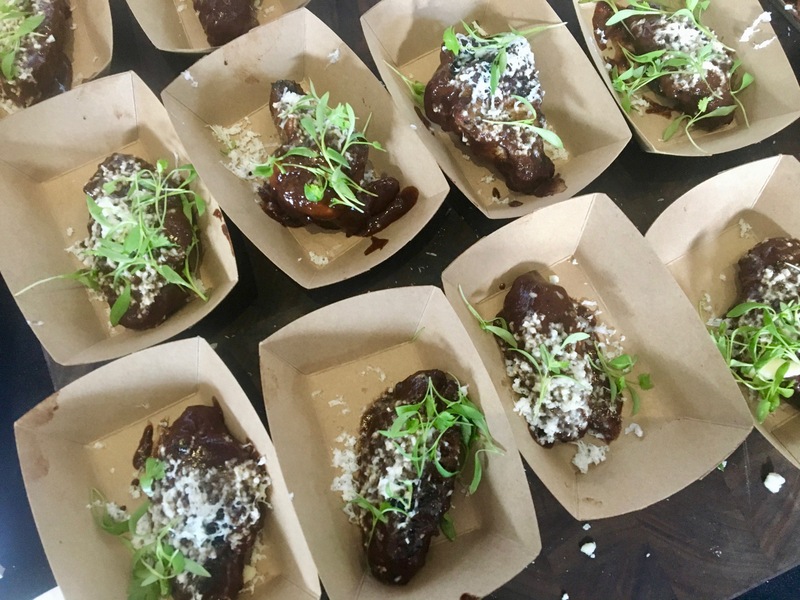 White Oak Kitchen went fruity with a blueberry mole sauce. 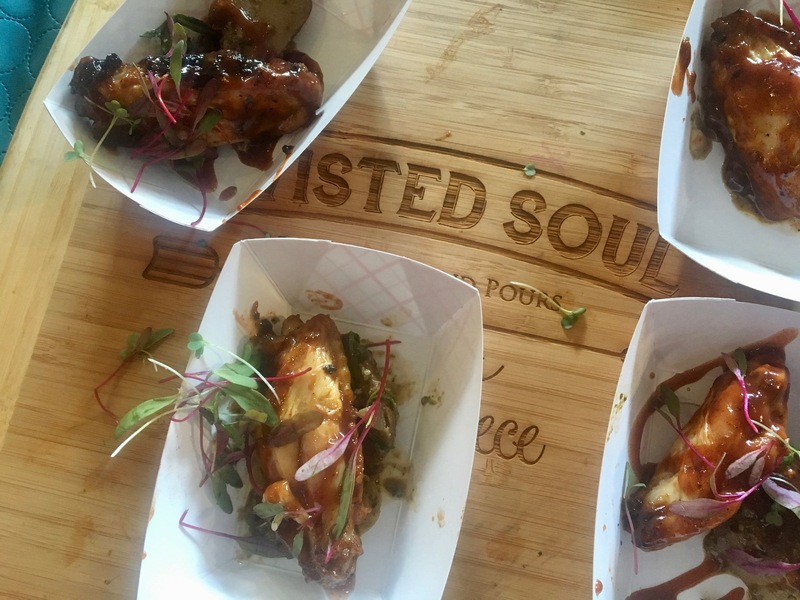 Red hot candy wings from Twisted Soul Kitchen. 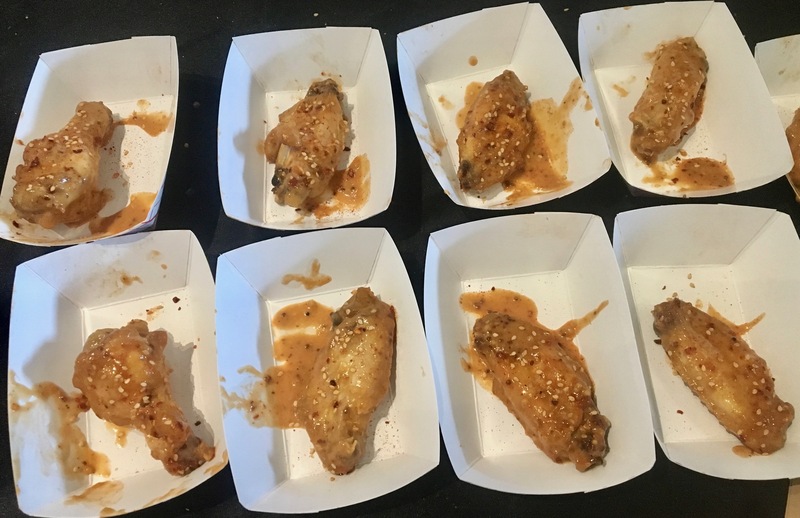 These are the last wings we tried. 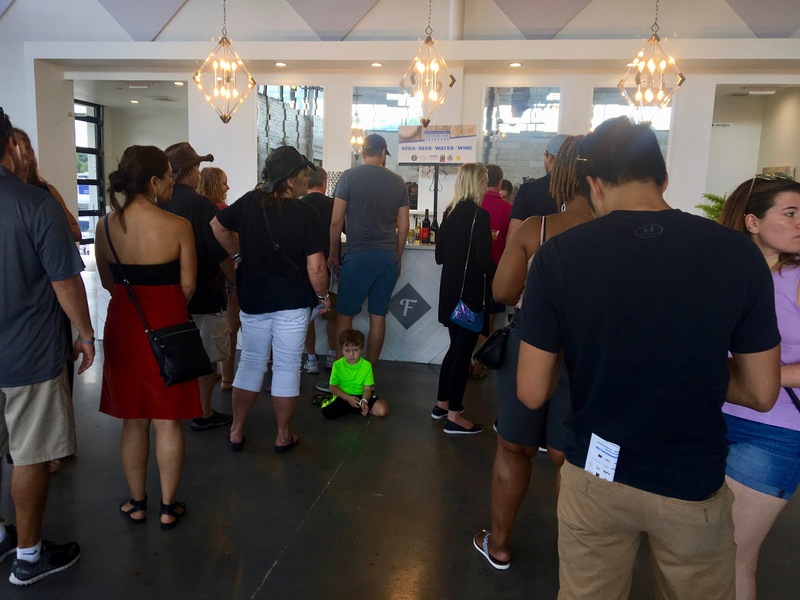 There are some other diversions like the George Dickel lemonade stand and the Dixie Vodka booth. 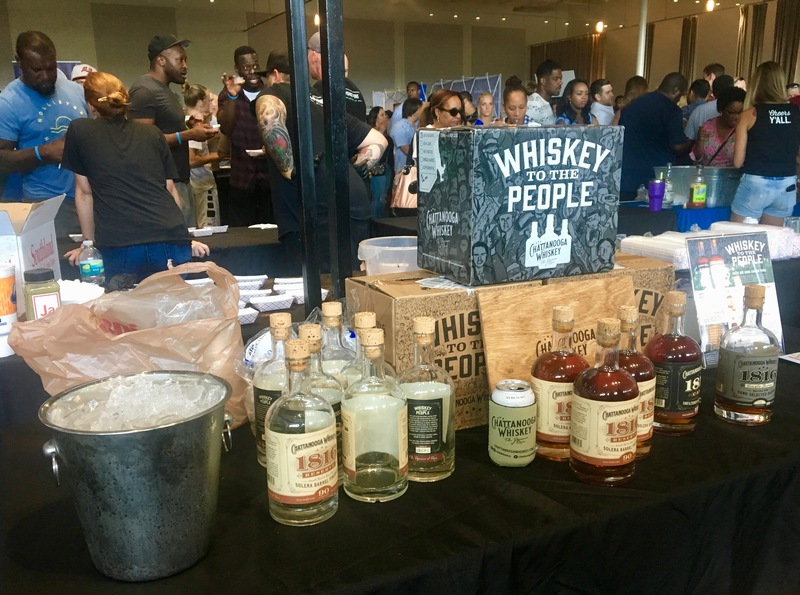 Although we do not try those, we took a risk(y) and tried the Chattanooga Whiskey. Those ice cubes felt good after a lot of spicy wings. 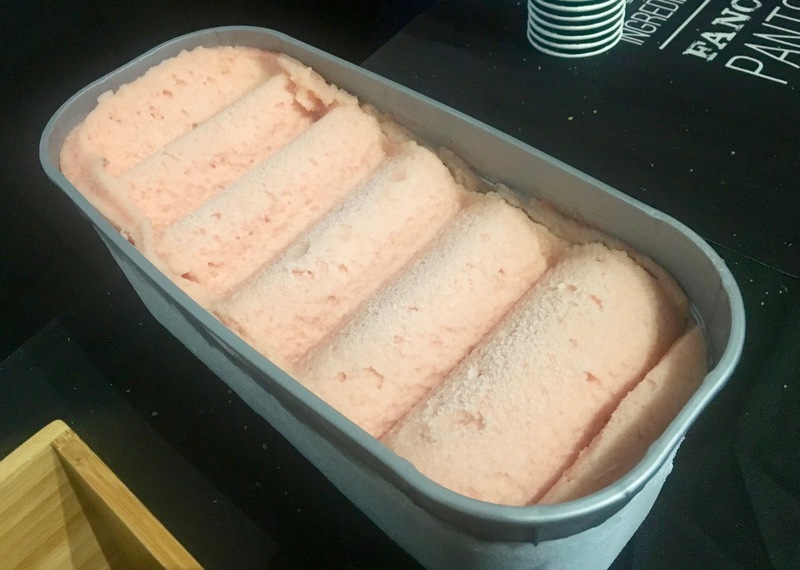 The watermelon sorbet from High Road Ice Cream is the perfect way to finish off all of the different flavors we try today. It is palate soothing and cleansing. We come close to our goal, hitting 21 out of the 30 booths. We are done for the day. Or are we? 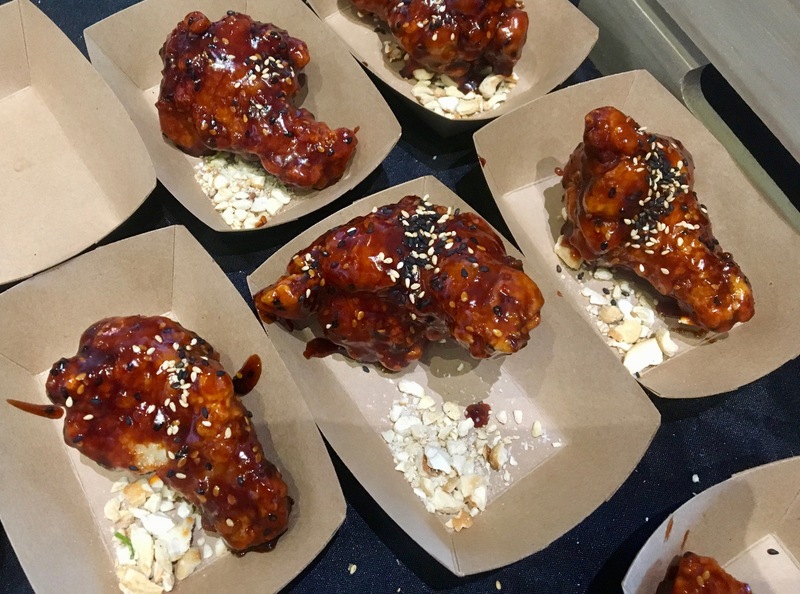 Before we go, here’s the winner of the showdown, the Sichuan spiced wings with gochujang honey mustard sauce from Canoe. 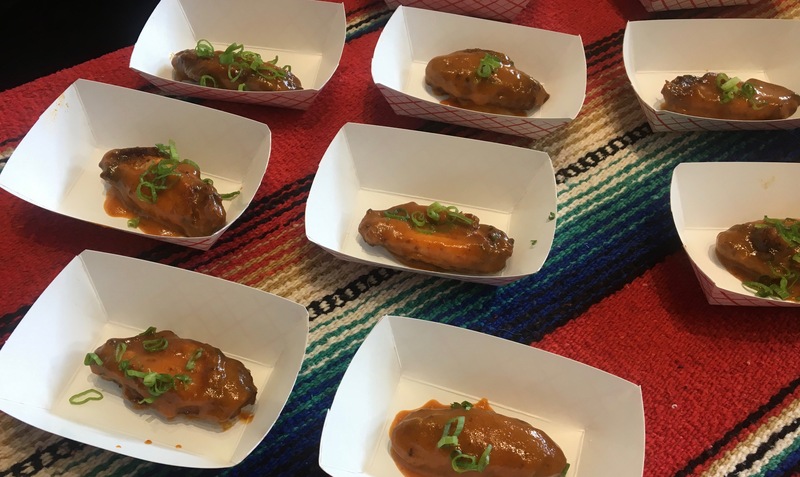 Not to brag, but these also got my vote as the best wing. Look how plump they got them. They smoked them and they fried them. The sauce was just enough to get the flavor without burning out your taste buds. Canoe beats last year’s winner The Feed Company by a feather (get it?) to take home the top prize. 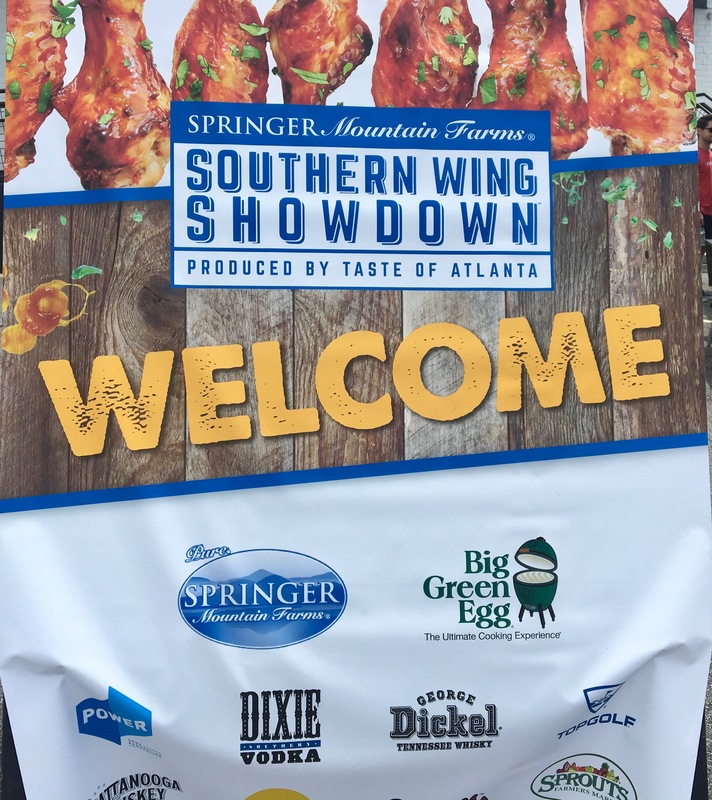 Disclosure time: Date Night did not pay for our entry to the Southeastern Wing Showdown. 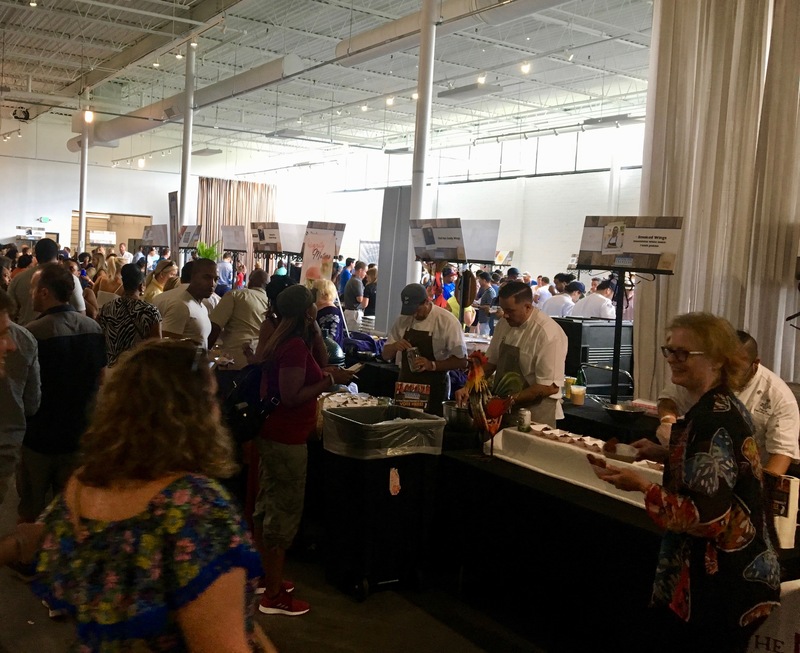 Thanks to Skye Estroff and the entire Taste of Atlanta crew for putting on such an excellent event. Don’t miss the next one! As I sit here on the Left Coast seeing what we have missed my mouth is Watering, while wiping up the saliva will pontificate what my taste buds have missed. One of these years, maybe we will try a summer in ATL. NO. Don’t think it will happen.